Pete Lucas, Reg Presley and Chris Britton search for Dave Maggs at The Royal Albert Hall. They won't find him out there! He's behind you lads! 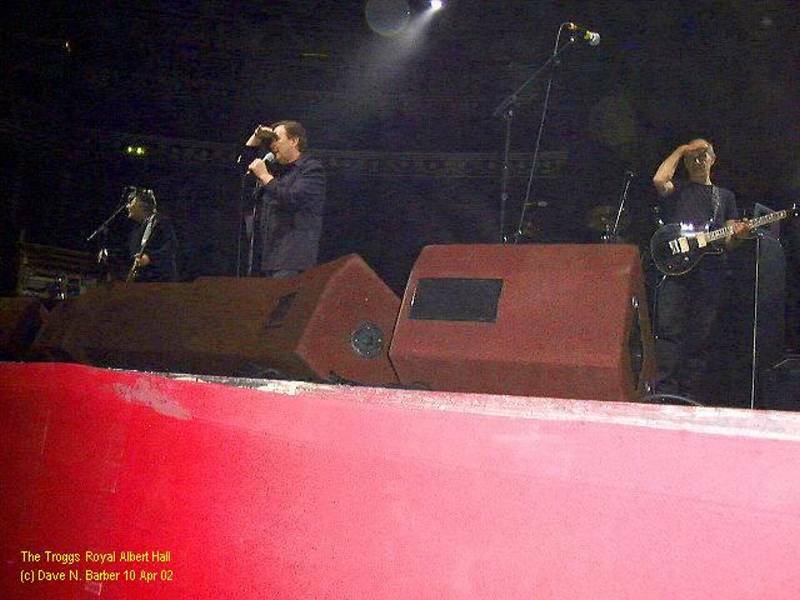 Or are they trying to see the audience who are applauding wildly after their opening song "Give It To Me"?